Dr. Joanne Cacciatore is an associate professor & researcher and Director of the Graduate Certificate in Trauma and Bereavement at Arizona State University. She received her Doctorate from one of the top social science departments in the U.S., the University of Nebraska-Lincoln.She is also the founder and Family Services Director of the MISS Foundation, an international nonprofit organization with 75 chapters around the world aiding parents whose children have died or are dying. She began the Kindness Project in 1997 as a way to help many grieving parents and others honor their loved one who have died. Since 1996, Dr. Cacciatore has been supporting others, providing clinical services, and researching in the area of traumatic grief. Her research is widely published in top peer reviewed journals such as The Lancet, Death Studies, Omega, Birth, Social Work, and Families in Society. Dr Cacciatore has also presented numerous grand rounds and provided individual and agency consulting and training all around the world. 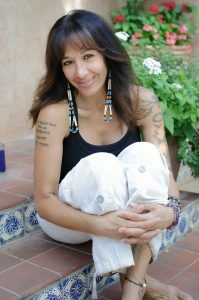 She has written several texts including Springer’s “The World of Bereavement” and Selah: A guide toward fully inhabited grief. She and her work have been featured in top print venues such as Boston Globe, New York Times, Newsweek, BBC, and the Wall Street Journal and on television shows such as CNN and BBC. She received the prestigious Hon Kachina Award, the Sr Teresa Compassionate Care Award, the Empathic Therapist of the Year Award, Arizona Foothills Arizona Women Who Move the Valley Award, and the Parents of Murdered Children Father Ken Czillinger Award. 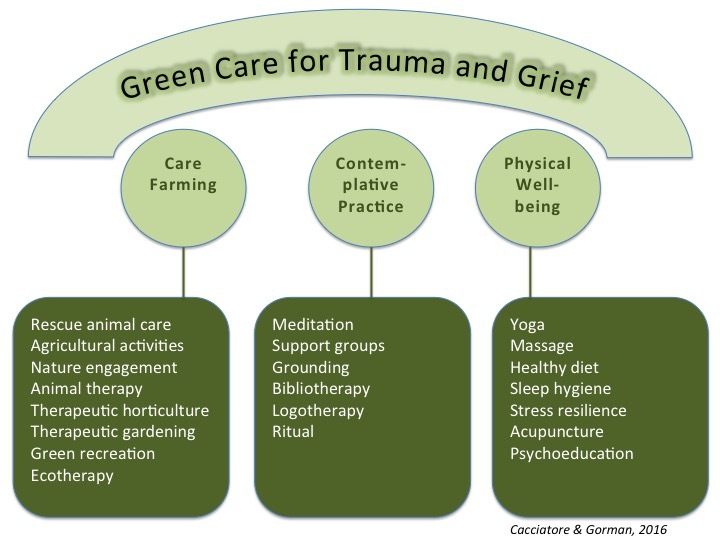 She is an advocate of “green” emotional and mental care for those suffering traumatic grief. Watch Dr. Cacciatore’s inspirational Story of Chemakoh about a severely abused horse rescued in 2015.